(NaturalNews) The quality of our food and the feed that we give to livestock is, of course, vital to our health. While "quality" of foods can be described as containing appropriate nutrients and vitamins at levels sufficient to sustain good health, it also means that what we consume should be free of toxins, both man-made and those that occur naturally. And yet, "almost no data exist in the scientific literature on herbicide residues in herbicide tolerant genetically modified (GM) plants, even after nearly 20 years on the market," according to a recent study by a pair of independent researchers, Thomas Bohn and Marek Cuhra. The pair, writing at Independent Science News, noted that the research they had conducted involved soybean samples grown under three typical agricultural conditions: Organic, GMO, and conventional (non-GMO). They reported that the GMO soybeans were resistant to Monsanto's herbicide, Roundup, in which glyphosate is the active ingredient. "We tested these samples for nutrients and other compounds as well as relevant pesticides, including glyphosate and its principal breakdown product, Aminomethylphosponic acid (AMPA). All of the individual samples of GM-soy contained residues of both glyphosate and AMPA, on average 9.0 mg/kg. This amount is greater than is typical for many vitamins. In contrast, no sample from the conventional or the organic soybeans showed residues of these chemicals." The findings demonstrate that Roundup Ready GM-soybeans, which are sprayed during the growing season, gather in and accumulate glyphosate and AMPA. What's more, the research shows, what was considered to be a working hypothesis for herbicide-tolerant plants, namely that as resistant weeds have spread, "there is a theoretical possibility that also the level of residues of the herbicide and its metabolites may have increased," is now demonstrated to be happening. Monsanto has claimed that residues of glyphosate in GMO soybeans are actually lower than in conventional soybeans, where the company says glyphosate residues have been measured up to 16–17 mg/kg. In addition, Monsanto has claimed that residue levels of up to 5.6 mg/kg amount to "... extreme levels, and far higher than those typically found," the research team wrote, quoting the biotech giant. However, seven of 10 GMO soy samples the researchers tested went past the "extreme level" (of glyphosate plus AMPA), which indicates that there is a trend toward higher levels of residue. That could be due to the fact that use of glyphosate on Roundup Ready soybeans in the U.S. has been increasing, the explanation being that there is a higher incidence of glyphosate-resistant weeds, meaning farmers have had to use higher and higher doses of Roundup and apply it more frequently. This could be why countries are boosting the acceptable levels of glyphosate in crops, the team reported. "The legally acceptable level of glyphosate contamination in food and feed, i.e. the maximum residue level (MRL) has been increased by authorities in countries where Roundup-Ready GM crops are produced, or where such commodities are imported," they wrote. "In Brazil, the MRL in soybean was increased from 0.2 mg/kg to 10 mg/kg in 2004: a 50-fold increase, but only for GM-soy. The MRL for glyphosate in soybeans has been increased also in the US and Europe." They noted further that their study on the model organism Daphnia magna found that habitual exposure to glyphosate and a commercial form of Roundup resulted in "negative effects on several life-history traits," in particular reproductive aberrations that amounted to fewer plants, even at levels below "accepted environmental tolerance limits." 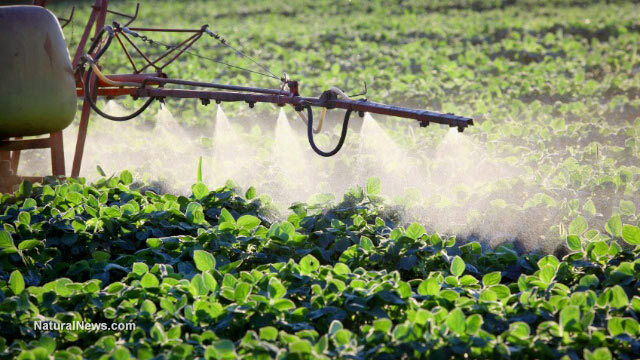 "Lack of data on pesticide residues in major crop plants is a serious gap of knowledge with potential consequences for human and animal health," the pair wrote in their conclusion. "How is the public to trust a risk assessment system that has overlooked the most obvious risk factor for herbicide tolerant GM crops, i.e. high residue levels of herbicides, for nearly 20 years? "If it has been due to lack of understanding, it would be bad," they said. "If it is the result of the producer's power to influence the risk assessment system, it would be worse."